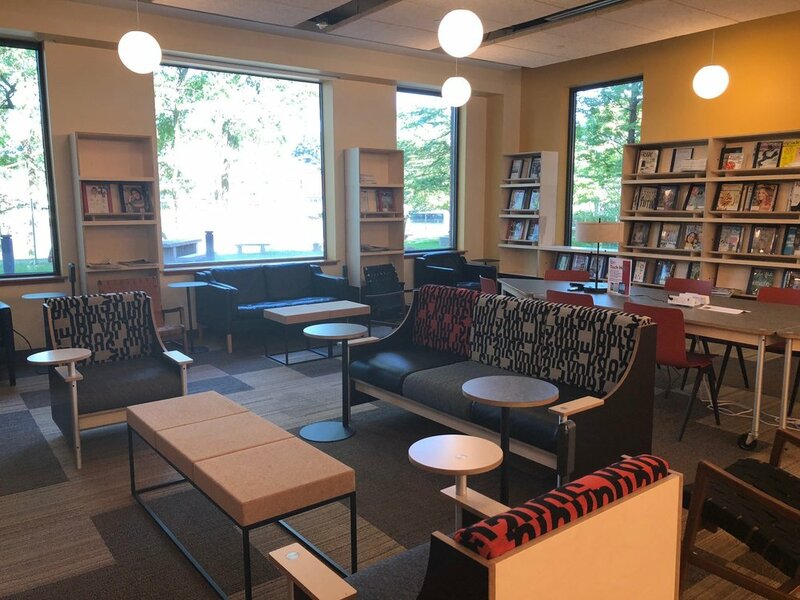 The Interim Library on the Riverwalk Level opened to the public on June 4, 2018. While this space is a smaller footprint, all Library services and elements of the collection are represented on this level while work is done on the Main and Upper Levels of the Library. Work is expected to be complete on the entire Library project by Summer, 2019. Many Library services and materials are available online 24/7. To learn more, visit the Westport Library homepage. While the Library is temporarily operating out of a smaller footprint, many programs will be taken off-site to locations throughout town. A full list of satellite locations is available here. The Library staff will also be out in the community as much as possible during this phase visitng sites like Town Hall, the Westport-Weston YMCA and the Center for Senior Activities.